Cuz really, to me? making mayo is THAT cool! So to put it mildly, I was crushed at the thought of never again having the pleasure of doing that. 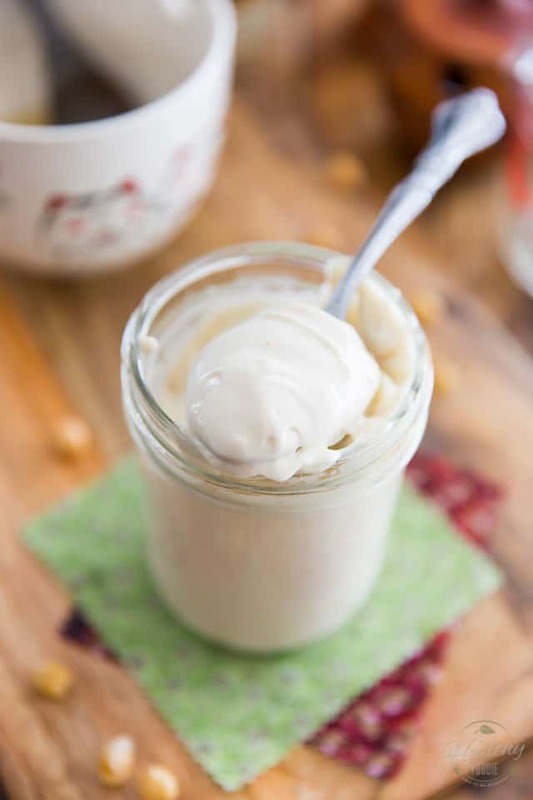 But then, I discovered that one could make vegan mayonnaise using aquafaba — aka the juice of canned chickpeas (and other beans) that we usually send down the drain — using a very similar technique to the one I’d been using all these years. Only the oil had to be added slowly after all the other ingredients had been added and whizzed, and then you’d have to have the mixer going while the oil was being poured in. I successfully made several batches like that, but it wasn’t nearly as fascinating an experience. Lo and behold guys, IT WORKED!!!! Not only did it work, I’m positive that this aquafaba version works even better than the traditional “egg” mayonnaise. And it’s even more fun to watch, I swear! Try it, try it, try it. I promise, it’ll BLOW your mind. 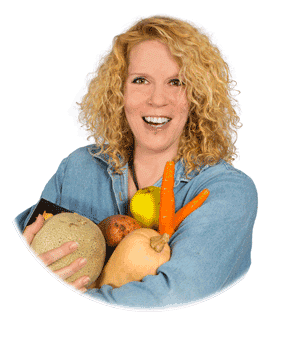 And you’ll NEVER again spend fortunes on that outrageously overpriced store-bought vegan mayo. Even if you’re not vegan. Spare an egg, try this version. You’ll love it. You really will. And did I mention: it totally solves the raw egg dilemma, too! Oh yeah! You’re so very welcome! 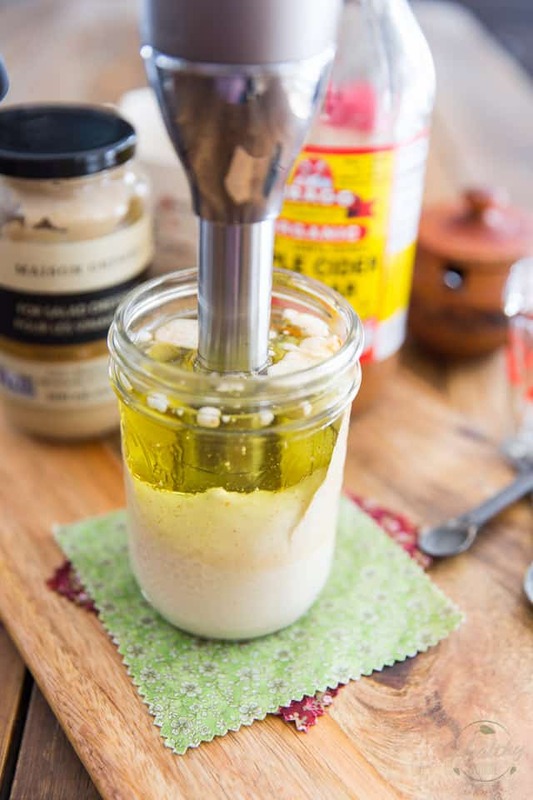 1 glass jar, which you will use to both make AND store the mayo. 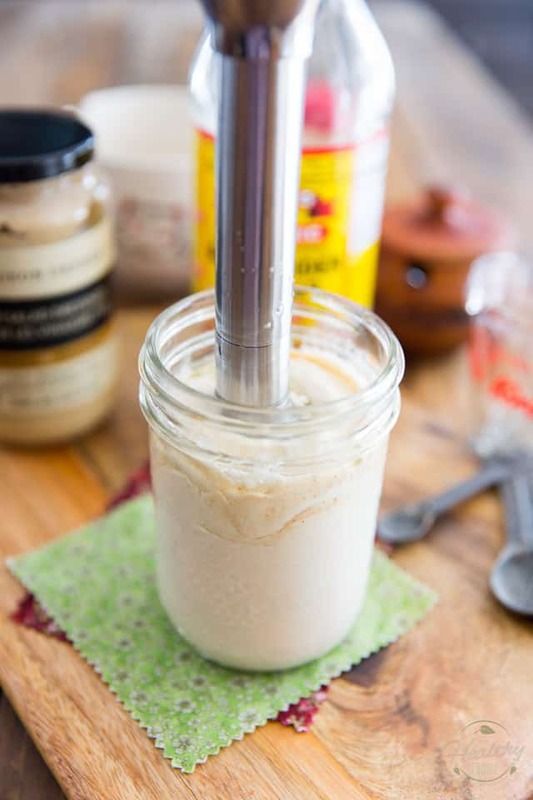 Make sure that you use A TALL AND NARROW JAR with an opening that’s just wide enough to accommodate your stick blender. 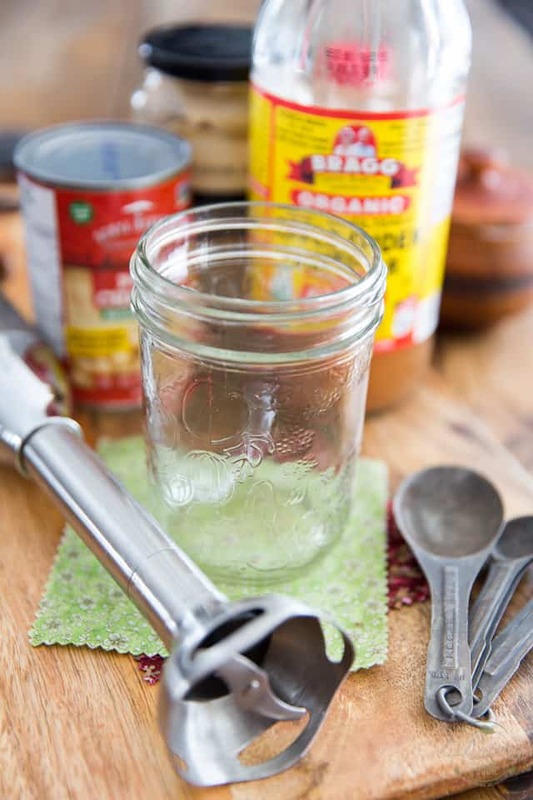 I like to use a 500ml (one pint) wide mouth Mason jar like the one in the pictures. An immersion blender. That’s the magic tool that’ll make your mayonnaise come together so easily. And yes, it must ABSOLUTELY be a stick blender. Nothing else will work. One cup of neutral tasting oil — Opinions differ greatly when it comes to what oils are best for your health, so feel free to use your own personal favorite. Mine is Avocado Oil, but macadamia, almond, walnut, grape seed or even canola oil would work great. Whatever you do, DO NOT USE Extra-Virgin Olive Oil. 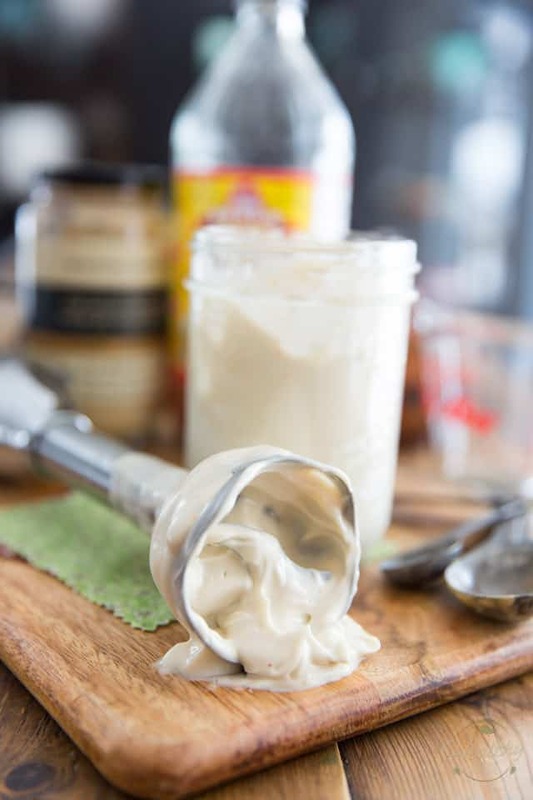 For one, it is way too strong for mayonnaise and its flavor intensifies and becomes extremely bitter with the emulsion process and two, its texture changes once refrigerated and renders the cold vegan mayonnaise kind of unpalatable. 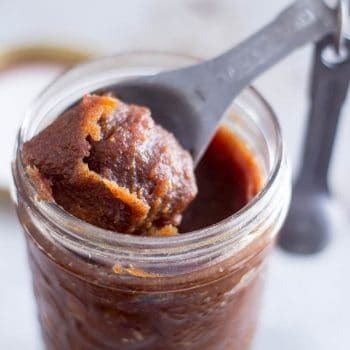 1 tablespoon of vinegar — Again, any vinegar would do; my personal favorite is Apple Cider Vinegar. A 1/4 teaspoon of salt — As always, I only ever use Himalayan salt, but of course, any kind of salt will do! Got everything you need? Alright! Let’s make us some mayo! 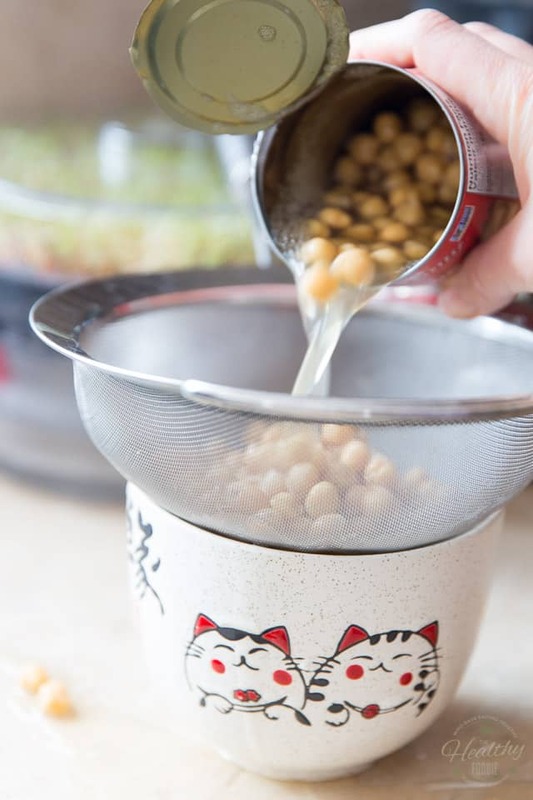 Of course, the first thing you’ll need to do is drain a can of chickpeas to get 3 tablespoons of that aquafaba. You could spoon the liquid right out of the can, though, if that was easier for you. Just make sure to give the can a good shake before you do that to redistribute all those deposits at the bottom of the can. I find I got best results when doing that. Put 3 tablespoons of aquafaba in your glass jar, along with the vinegar, Dijon mustard, salt and cayenne pepper (if using). Then, pour in one full cup of neutral tasting oil. 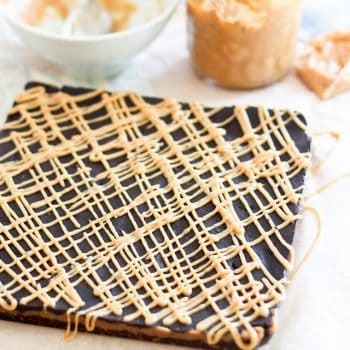 No need to drizzle or be all fancy here either. Just pour it right in. About that cayenne pepper, — you know me, right? I put that @#* in everything — it will give your mayonnaise just a little bit of an edge, a little something that keeps you coming back for more, but will not make your mayo spicy at all (unless of course you get carried away and throw a whole lot in there). If you’re not a fan, feel free to leave it out entirely. Now let those ingredients sit for a few seconds, just long enough for the the oil and liquid to fully separate. Then, insert your immersion blender and push it all the way to the bottom of the jar. Set the speed to high, push the power button and let the blender do its job without moving it for about 20 seconds. 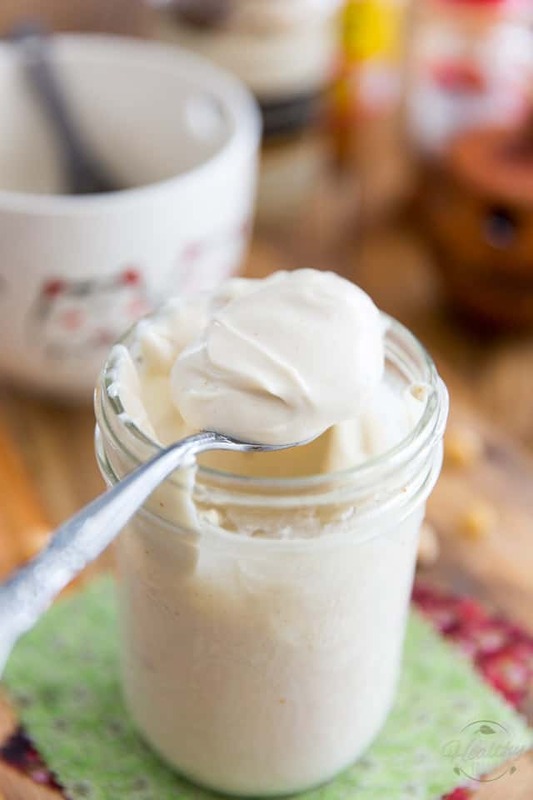 Almost instantly, the transformation will start to happen: the oil will start to emulsify and turn into this thick and creamy white concoction, slowly climbing all the way to the top of the jar. Little droplets of mayo will start detaching and making their way to the top, almost like some kind of lava lamp! This is such a cool process to watch! Really, making mayo is so much fun! Almost done… only a few seconds to go! After 20 seconds, the mayonnaise will have made its way almost all the way to the top. This is when you want to slowly start raising the blender until you get to the very top. Do not take it completely out, though, else you might send mayo flying all over the place! Continue blending for just a few more seconds. At this point, you can move the blender around and up and down to make sure you get every last bit of oil blended in. And there you have it. 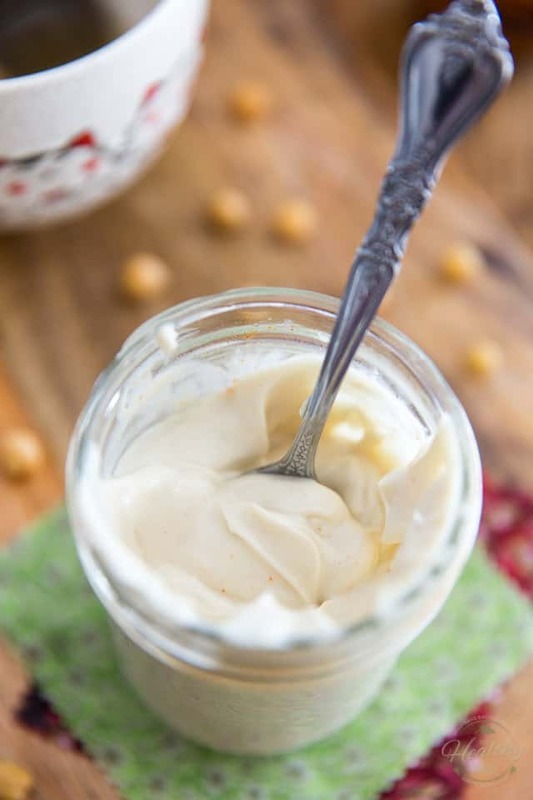 Beautiful, creamy, tasty and egg free mayo! And it tastes just like the real thing, too, if not better! That wasn’t complicated, was it? Bet you’re never gonna buy the store-bought stuff ever again! 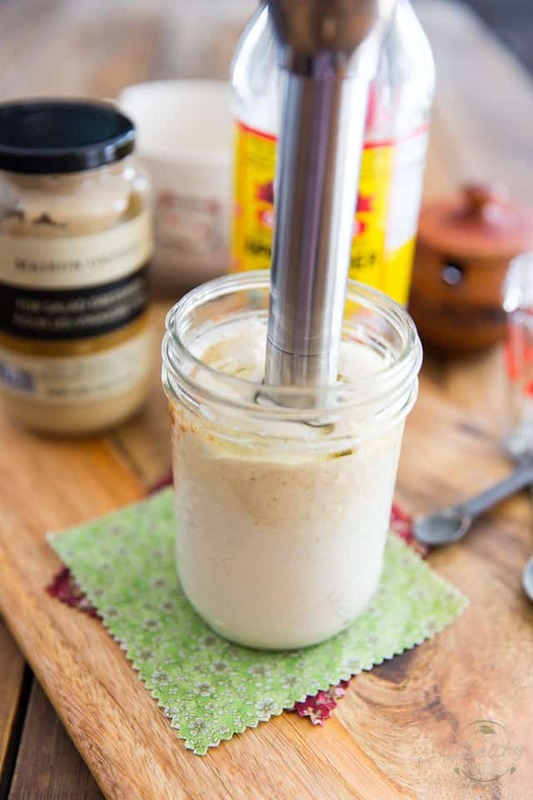 And now you can brag to your friends and family that YOU can make your very own mayo! Of course, you don’t need to tell anyone just how easy AND FUN it really is… that’ll be our little secret! And this is pretty much how it goes… Fascinating, isn’t it? I could watch this for hours! My jar traveled rather extensively and all over the board while I was shooting this, so it looks kinda weird, but it gives you an idea of how fast things happen and how the process goes. Next time I whip up a batch, I’ll try and shoot a little film for ya! 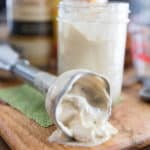 Stop spending crazy amounts of money on Vegenaise and other overly expensive store-bought Vegan Mayonnaise; make your own at home in mere seconds with only 4 simple ingredients; This technique is so quick and easy and produces such a rich, thick and creamy mayonnaise, you'll adopt it as soon as you try it! 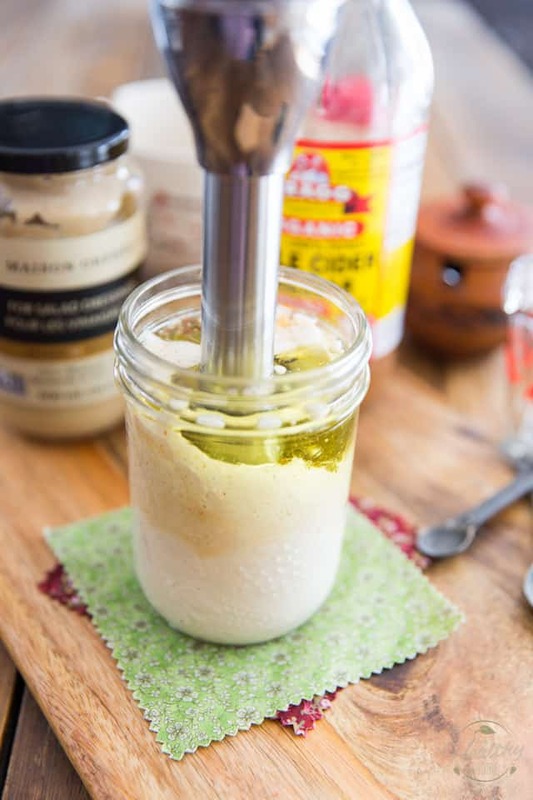 A tall narrow glass jar that’s barely wide enough to accommodate the head of your immersion blender. A 500ml (one pint) wide mouth Mason type jar works wonders for this. 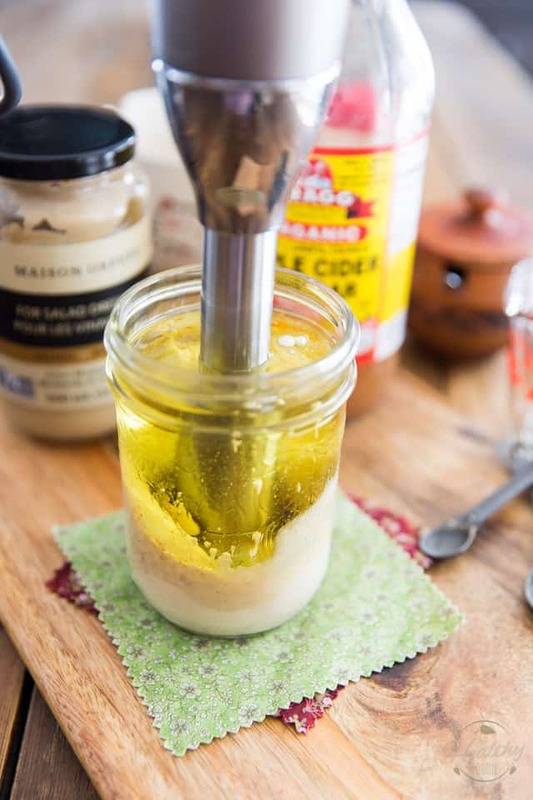 Add the aquafaba, Dijon mustard, vinegar, salt and pepper (if using) to your glass jar and then pour in the oil. Let the ingredients sit for a few seconds, just long enough for the oil and liquid to fully separate. Insert your immersion blender and push it all the way down until it makes full contact with the bottom of the jar. Push the power button and let the blender do its job without moving it for about 20 seconds. 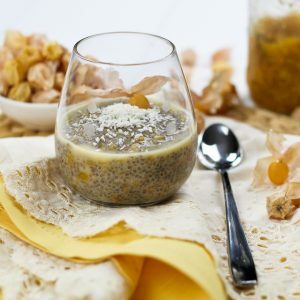 Almost instantly, the transformation will start to happen: the oil will start to emulsify and turn into this thick and creamy white concoction, slowly climbing all the way to the top of the jar. 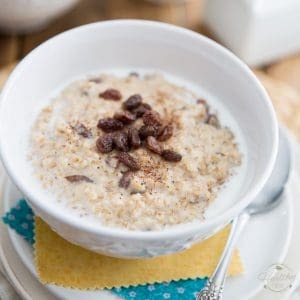 After about 20 seconds, the transformation should be pretty much complete, so you can start moving your blender around and up and down just to make sure that every last bit of oil gets well incorporated. Your vegan mayonnaise is now ready to use; put the lid on and keep it in the refrigerator for up to a few weeks. 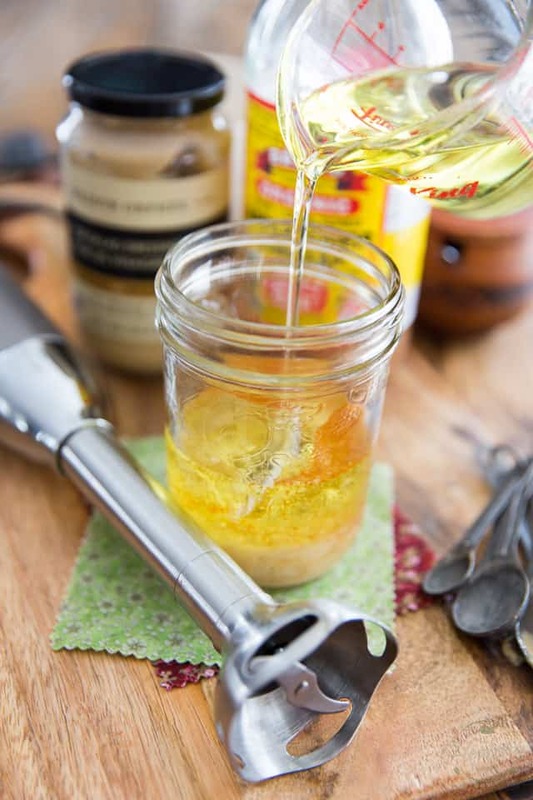 - About the oil: Be sure to use only neutral tasting oil such as avocado oil. Do not use olive oil, not even the light tasting kind: its texture changes once refrigerated and renders the cold mayonnaise kind of unpalatable. 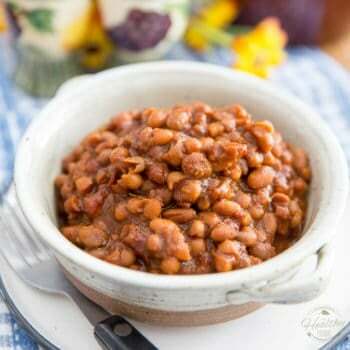 - This recipe will only work if you use the proper equipment and technique, as described. I’m the same with mayo. Thanks for sharing this, I’ll try it soon. Be sure to share your thoughts, Siobhan! Thank you so much for this. I’ve been vegan for years and have never been able to find a mayo that works for me and tastes good. This is perfect. Wait ’til you taste it, Gemma! It actually IS, perfect! Hope you like it as much as I do! And kudos to you for sparing the animals all those years. YOU ROCK! Any idea how long it will last in the fridge? Wow! I’m impressed! I make your foolproof mayonnaise at least once a week, but usually more since it’s the base for my other salad dressings. I swear by that recipe, and agree it’s FUN to make. Great to know a vegan version is possible! 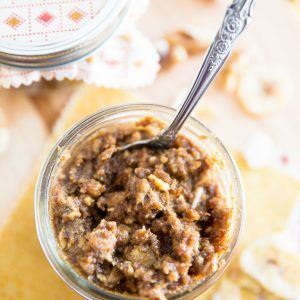 Can this recipe be made using a small sized food processor?? Or, is a “stick blender” the only tool that will successfully work?? Can Coconut oil be used ?? 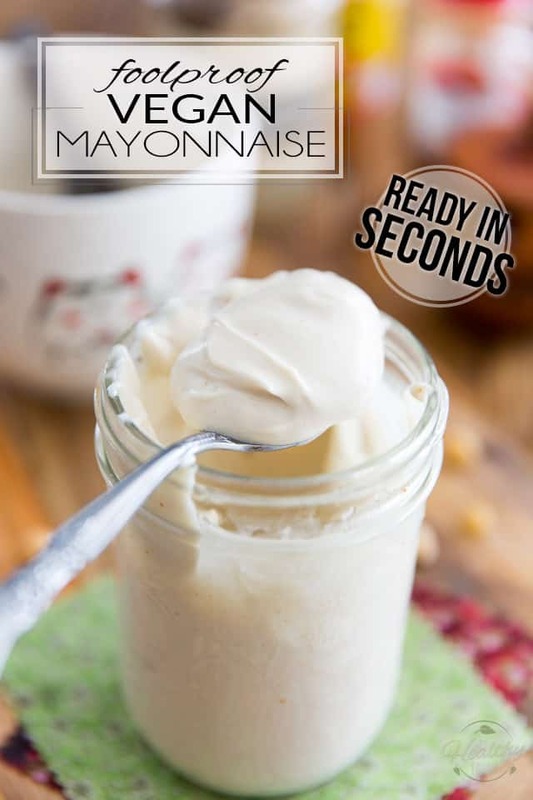 If this “vegan mayo” is spread on fresh bread slices for making a sandwich, if over an hour or two before sandwich is eaten , would the mayo’s liquid ingredients separate and cause the bread slices to become soggy?? 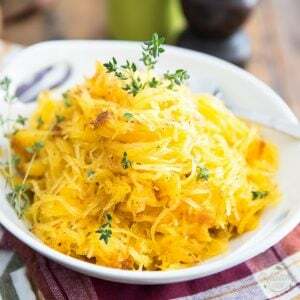 There are recipes that can be made with a small food processor, however this particular recipe can only be made with a stick blender. I would not recommend using coconut oil as one, it’s not neutral tasting at all (your mayo will definitely taste like coconut) and two, just like olive oil, the coconut oil will firm up in the fridge and will give the mayo a very unpalatable texture. This vegan mayo has the exact same texture as regular mayo; it should not separate and cause your bread to become soggy. The flavor is amazing! I had trouble getting mine to thicken, but certainly 5 stars. Could you troubleshoot for me? One variation from your recipe was that I needed to use a Pyrex glass measuring cup to accommodate the stick blender so the cup was wider…or maybe I did not wait long enough for separation. Thank you. It’s definitely a container issue, Cat. Like I said, you really need to use a jar that’s just slightly bigger than the head of the blender. Try again with one of those wide mouth mason jars, it should work like a charm! I really wouldn’t risk it with anything that has extra-virgin olive oil in it, unless it was the light tasting variety… the emulsion process really makes extra-virgin olive oil completely bitter and unpalatable.